How to find the most affordable solar possible. Just like purchasing a car or a home, solar is an investment. In fact, besides cars and houses, solar is one of the more expensive investments you can make. It’s a long term investment and homeowners spend thousands of dollars paying off the installation over its 20 year expected life. However, the thousands of dollars in financial savings that homeowners can see, more than make up for these costs. Like any good investment though, you need to make sure that you are getting the most affordable solar and the best bang for your buck to increase your financial savings as much as possible. The single most important tool to ensure you’re getting the most affordable installation? Knowledge. For homeowners looking to install solar, the best thing you can do is to know what your goals are (Do you want the highest savings? Do you want an easy installation process?) and know what financing and installation options are available to you. Below, we highlight the different options available to homeowners looking to go solar as affordably as possible, as well as tips for working with solar companies to ensure you get the best deal on your installation. Many homeowners express interest in purchasing and installing solar panels themselves (more: DIY Solar). While out of the scope of most homeowners’ comfort zone, if you have experience in electrical or construction work and you’re looking for the biggest financial savings over the life of your investment, this is certainly the way to go. Those installing their own solar panels avoid paying installers’ ‘soft costs’ – which includes installation labor, administration work, permit and processing fees (though you have to do that yourself), and company profits. According to the National Renewable Energy Lab, soft costs account for almost 60% of total installation costs for residential solar installations in 2016. 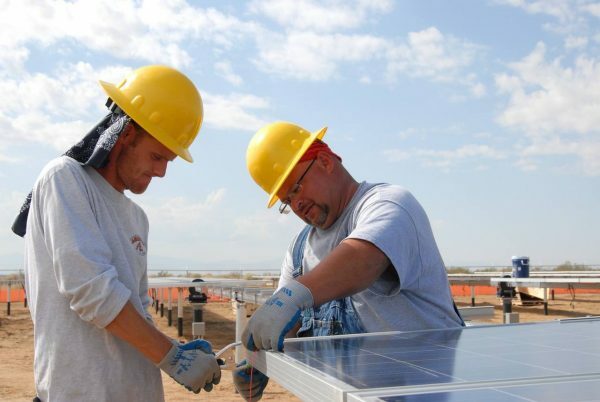 By law, homeowners who install solar themselves aren’t allowed to connect the installation to their electrical panel and (by extension) utility grid, so if you go this route you still have to hire a professional, licensed electrician. But still, homeowners looking to DIY can drop their total cost by almost half! Installing your own solar can also affect your eligibility for financial incentives. Some utilities, such as Xcel Energy in Colorado, require at least one solar installer working on a project to be NABCEP certified for the installation to be eligible for net metering incentives. While each location is different depending on the city and utility regulations, homeowners interested in DIY solar need to check with their city and utility to see how self-installed solar affects eligibility for financial incentives. If all of this sounds a little too daunting, read on for more options! When attempting to save money on traditional home improvement projects like remodeling a kitchen for example, budget conscious homeowners will sometimes hire an installation crew to perform the work, but purchase equipment themselves. This allows homeowners to check around at different stores to find the best prices for materials. We’ve heard some homeowners ask if this is an option with solar as well. Some already have a solar panel in mind that they want to install. Or some want to save money and think they might be able to find a better price for solar panels than the installation company. In some cases this may be true, but national solar companies have the ability to obtain the best wholesale prices from panel manufacturers by buying thousands of solar panels at a time. In addition, the actual cost of the solar panels only accounts for about 22% of the total installation cost. As mentioned above, the bulk of the cost is ‘soft costs’, which homeowners who purchase their own equipment and hire an installer would still have to pay for. 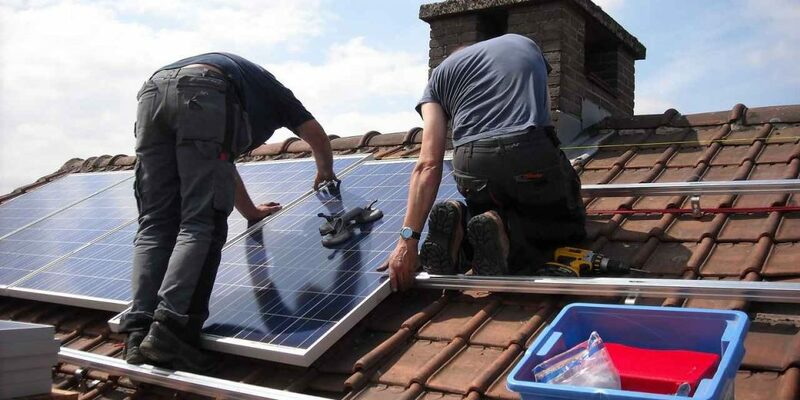 So while this is certainly an option for many home improvement projects, for solar this particular installation method hasn’t really caught on, as there’s really little to no financial benefit to purchasing your own solar equipment. So you don’t want to go the DIY route and purchasing your own equipment doesn’t really save you any money, what to do now? How do you install affordable solar? Well, read on! If you’re not going to install solar yourself, then you’ll have to hire an installation company. In 2014, 72% of all residential solar was installed, owned, and maintained by 3rd party solar installers. For most, installing solar using a solar company is the only viable option available. When working with a 3rd party, the affordability of your installation depends on the installer, installed equipment, and what financing option you chose. National solar installation companies have big office buildings in multiple states, hundreds of project management and design staff, as well as a slew of dedicated sales people. All these pieces are designed to make your solar installation as easy and seamless as possible and you’re certainly going to pay more for this easy process than if you climbed up on the roof and installed the solar yourself (and that might not even be a fair comparison, as virtually no one installs solar themselves). #1 As with any home improvement project, be sure to receive quotes from at least 3 solar installers, and 4 or 5 if you want even greater assurance that your final decision is a great deal (more: get an actual estimate here). Telling people to get multiple quotes is like telling people to brush your teeth or quit smoking – we all know we should do it! But it’s truly the single most important thing you can do to ensure you’re getting the most value for your money. Individual installers’ costs can vary dramatically based on the size of the company, their overhead, sales and marketing approaches, and the equipment they install. Getting several quotes, from both large national companies and smaller, local companies, gives you context for all the different prices they give, as well as peace of mind that you chose the right path! #2 Ask your installer about available equipment. Most installers have a standard-efficiency option for the panels and inverter as well as high-efficiency options. If your situation doesn’t require high-efficiency equipment, think about choosing the standard models, which perform almost as well as high efficiency models in most situations, but cost much less. So, for example, if you have ample roof space to install plenty of panels, choose standard-efficiency models, which will require a few more panels than their high-efficiency brethren, but are much less expensive. Or for another example, if you don’t have any shading issues and you see fairly sunny skies most of the time, choose a standard string inverter over the more expensive micro-inverter or power optimizers, which work better under heavy shading, but cost much more. #3 Weigh the different financing options. There are many financing options available for solar and you can even ask each installer for quotes using different financing: one for lease or PPA, one for cash upfront, and one for loan. Homeowners typically see thousands of dollars more in savings for cash upfront, but need vast amounts of cash initially to pay for the investment. Leases and PPAs require no money down, but see smaller savings as owners slowly pay the system off over 20 years. Depending on the area, loans can be a happy medium between the two – seeing higher financial savings, but requiring much less money upfront than a cash purchase. Again, this greatly depends on your situation and you need to discuss with your installer if this makes sense for you. If you decide to work with a solar installer, these simple tips above will help you find the most affordable solar installation available. And just to reiterate, what’s the key to affordable solar? Homeowners who know their needs and goals, then research and understand the different options available to them are set-up to make the decision that benefits them the most. While almost any solar installation can save you money, use the tips we’ve outlined above as a guide to find and install the most affordable solar installation you can! Are Used Solar Panels Worth the Hassle? What is Ideal for a Small Solar Power System: Kits or DIY?